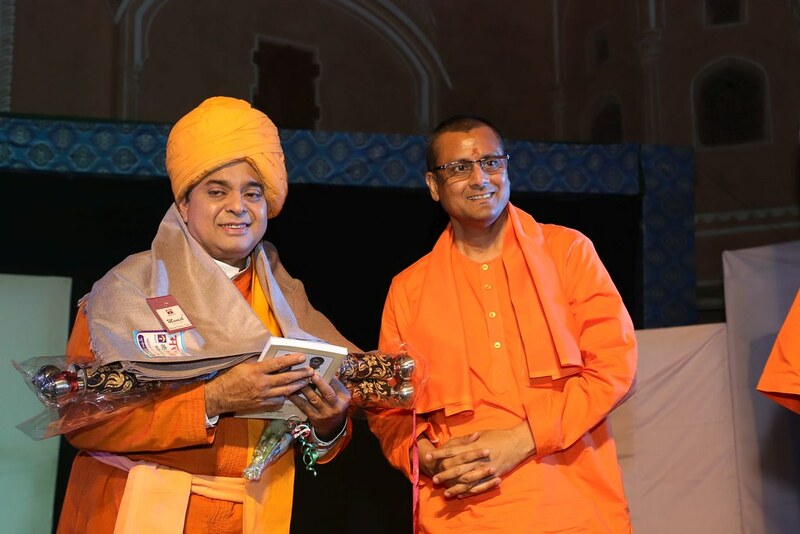 Raja Ajit Singh of Khetri, a patron of talents and ardent lover of arts and fine arts, science and technology, was fortunate to have come in contact with Swami Vivekananda. 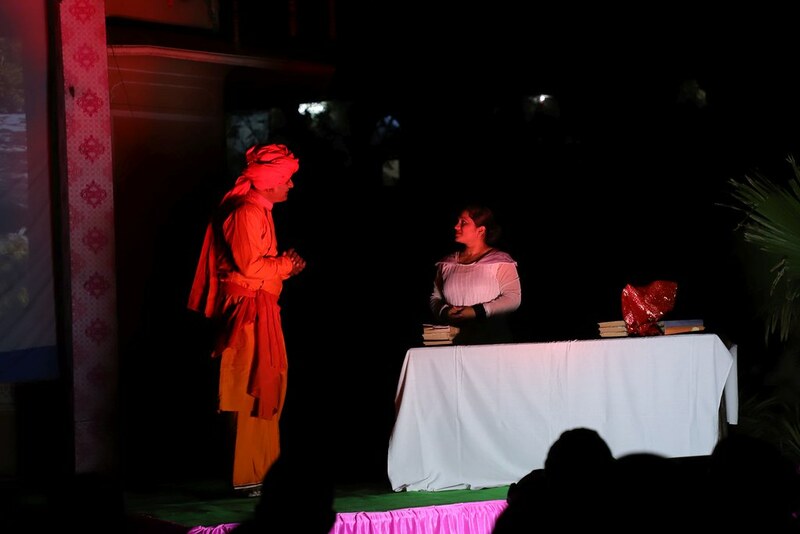 In 1891, inspired by the divine behest of his mentor, Bhagwan Sri Ramakrishn, Swamiji reached Abu en-route a country-wide tour. 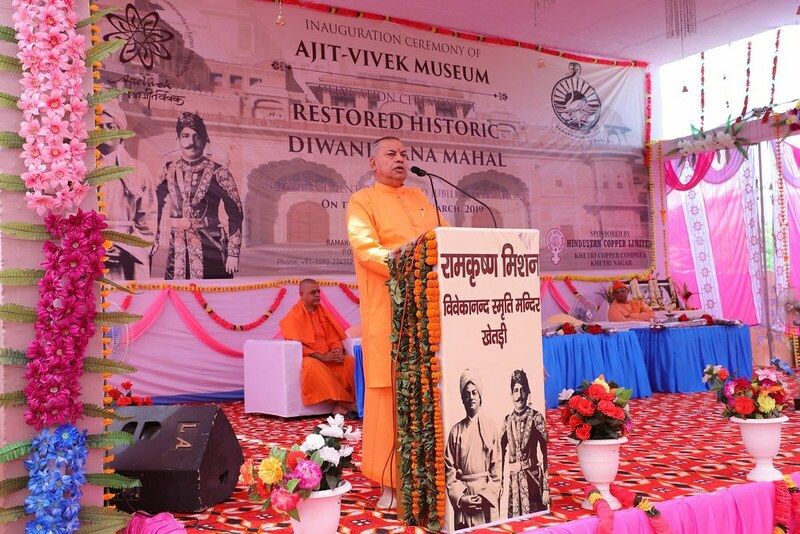 Swamiji met Khetri Ruler, Ajit Singhji for the first time on 04 June 1891. 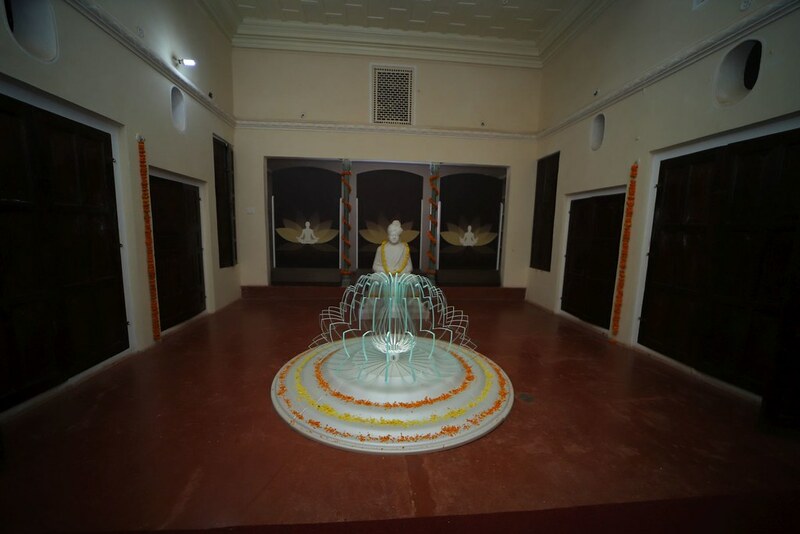 Inspired by the impressively effulgent personality of erudite Swamiji, the Raja accepted him as his Guru and reverentially brought him to Khetri. 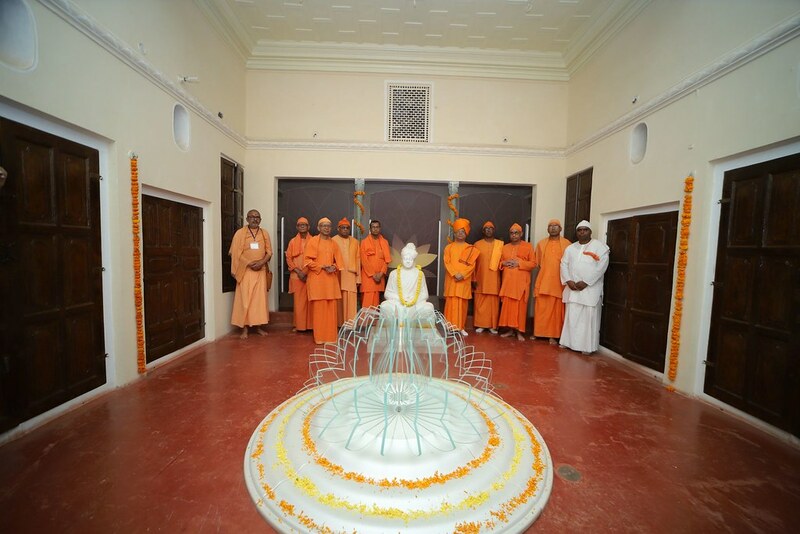 Swamiji reached Khetri for the first time on 7 August 1891, and stayed with the Raja until 27 October 1891. 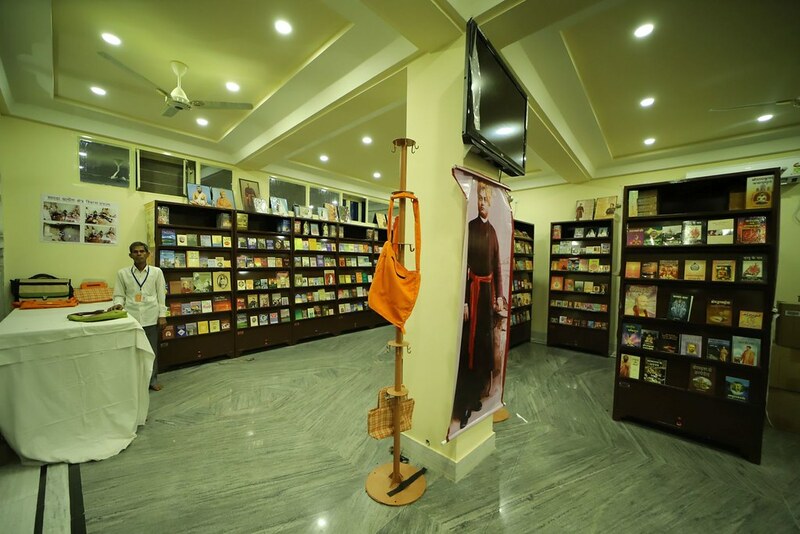 During his stay at Khetri, everyday, both had exchange of views on spirituality. 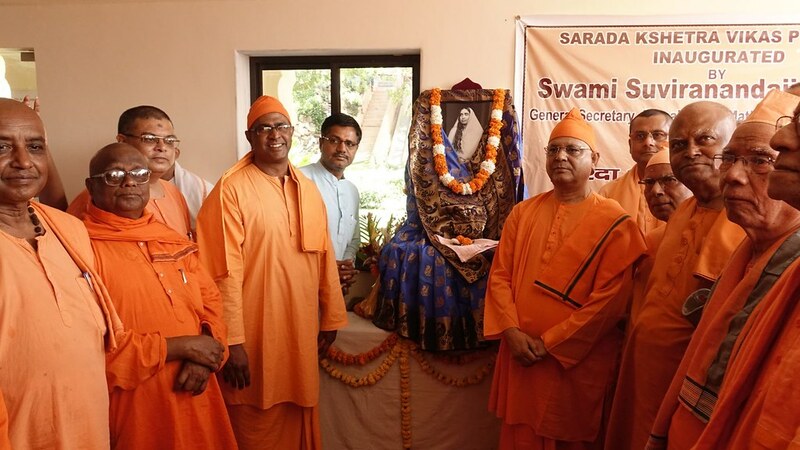 To broaden the mind of the Raja, Swamiji not only brought home the importance of modern science to him, but also taught him this faculty. 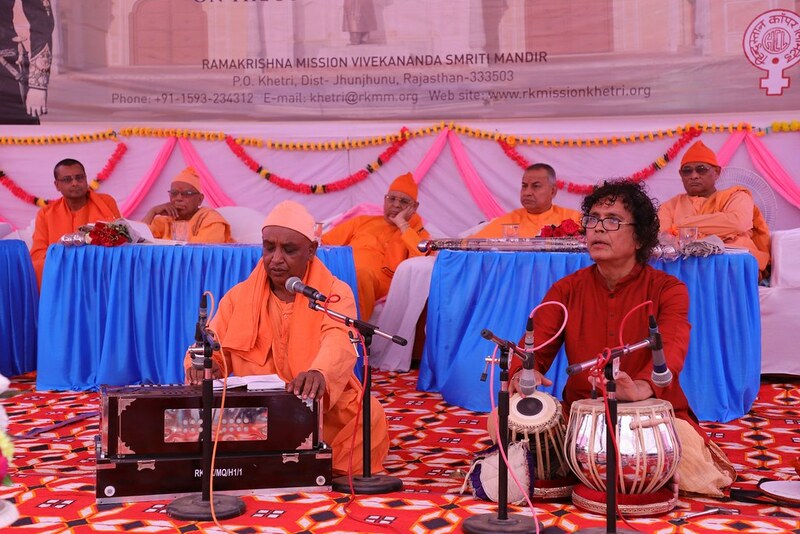 Not only that, Swamiji studied the Panini Ashthadhyai along with Patanjala Bhashya under Rajpandit Narayan Das-ji, Shastri of Khetri and enriched his knowledge in this field. 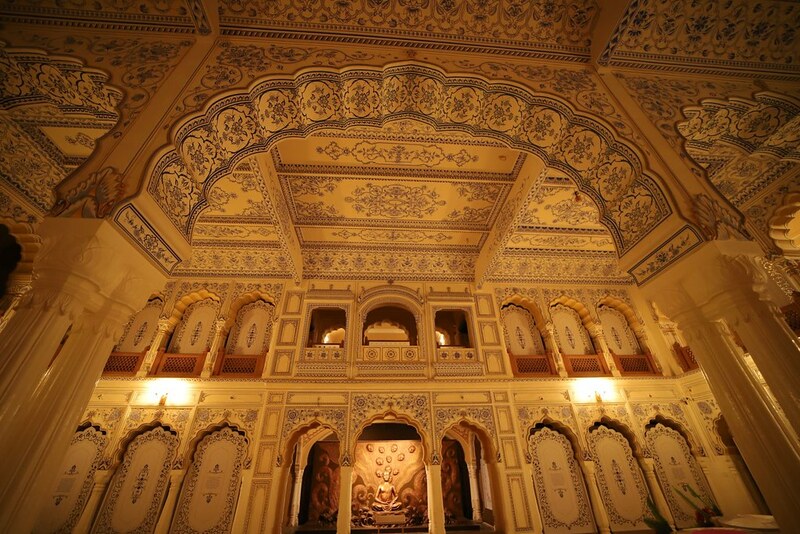 Until then, Raja Ajit Singh had two daughters but no son and hence he was deeply worried. 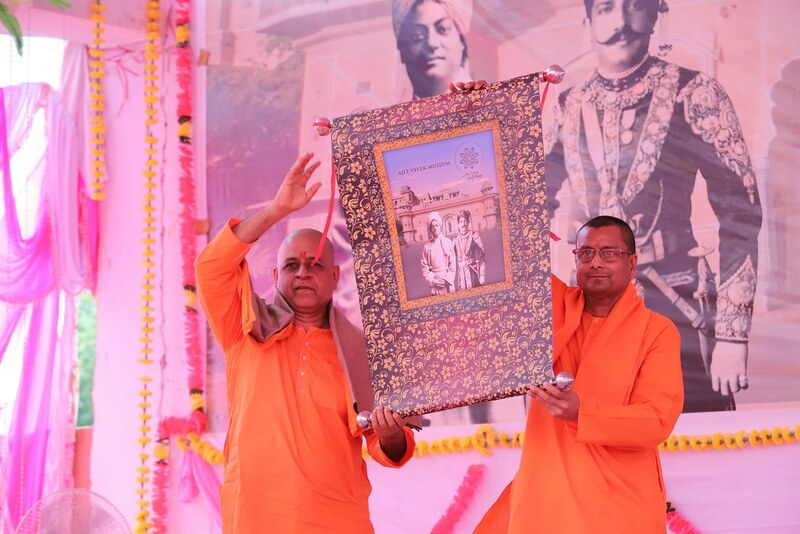 So Swamiji blessed the religious minded benevolent Raja for a son and set out again on a countrywide tour of India. 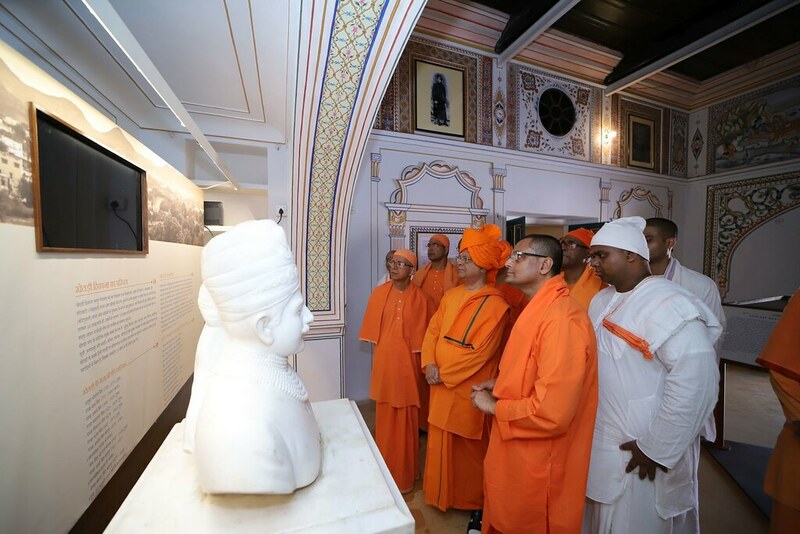 In 1893, a few days before Swamiji’s departure to America, the Raja sent his Prime Minister, Munshi Jagmohanlal to Madras with a request to Swamiji for visiting Khetri on the occasion of his son’s birth celebrations which had come about by Swamiji’s blessings. 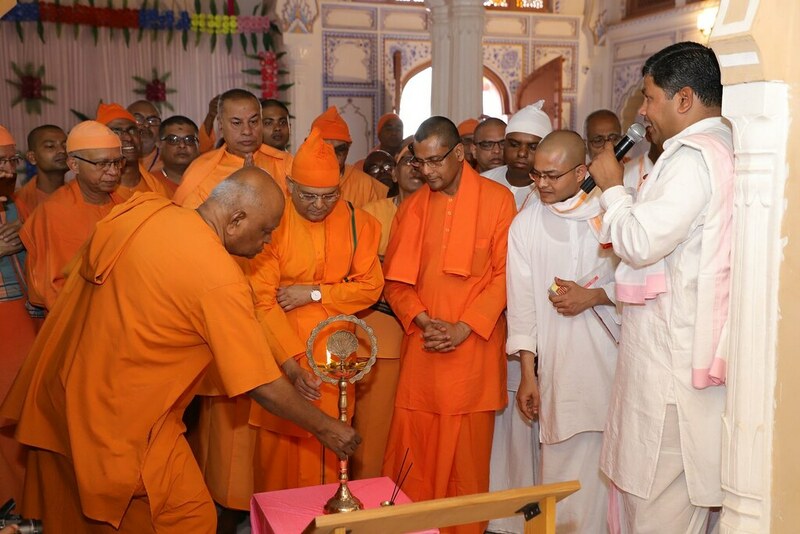 Condescending to his disciple’s request, Swamiji had to go to Khetri to join the birth celebrations of the new-born prince. 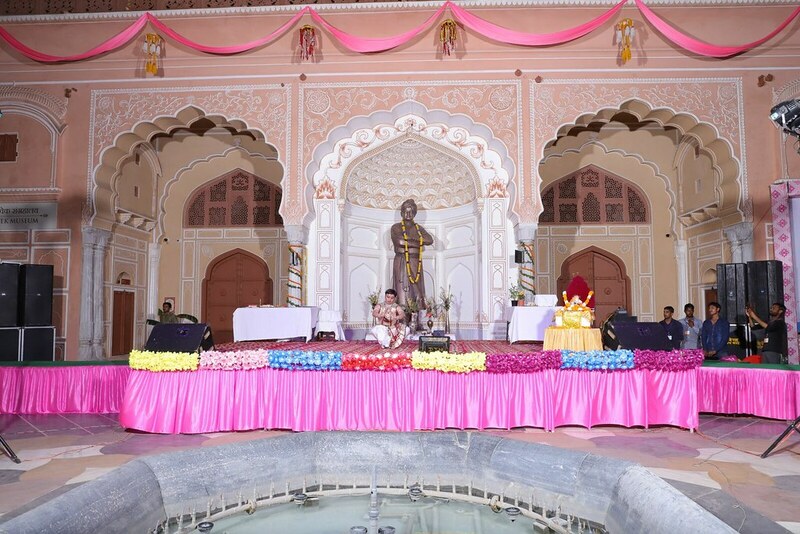 He reached there on 21 April 1893. 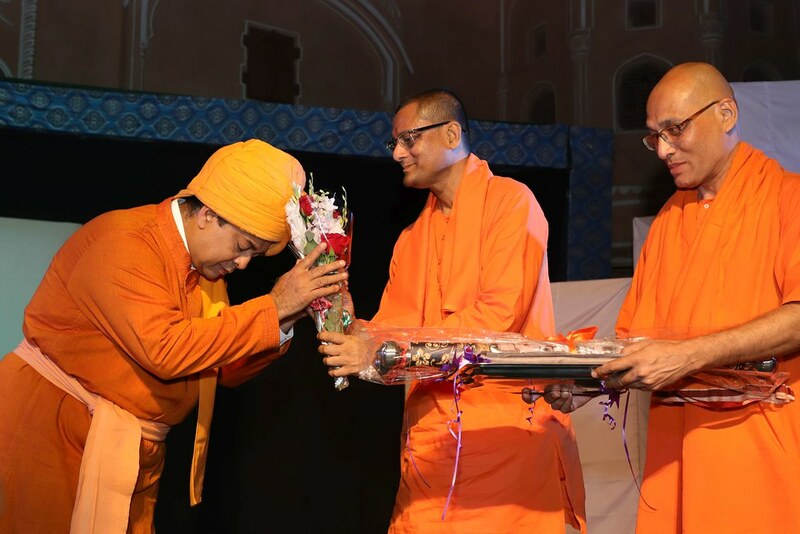 In the midst of celebrations, an incident took place by which Swamiji attained practical perfection in his Advaita faith and he became equipped for the divinely endowed mission in all respects. 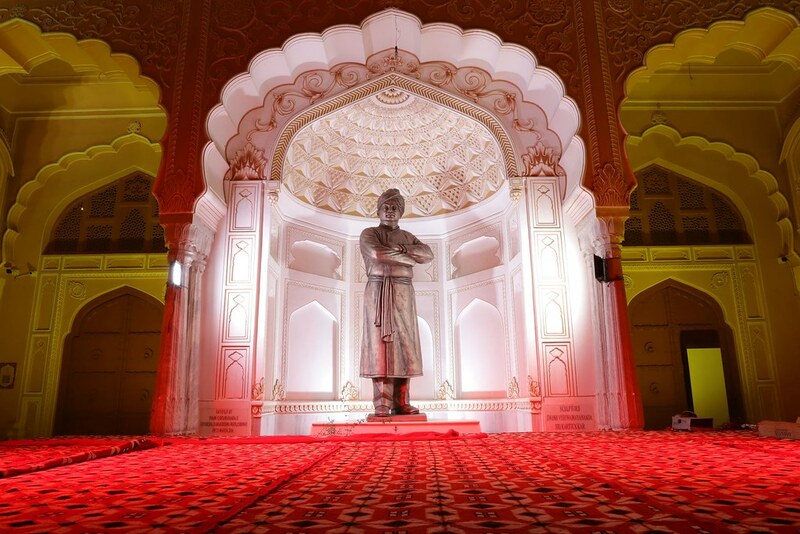 Raja Ajit Singh passed away on 18 January 1901 and Swamiji attained Mahasamadhi on 4 July 1902. 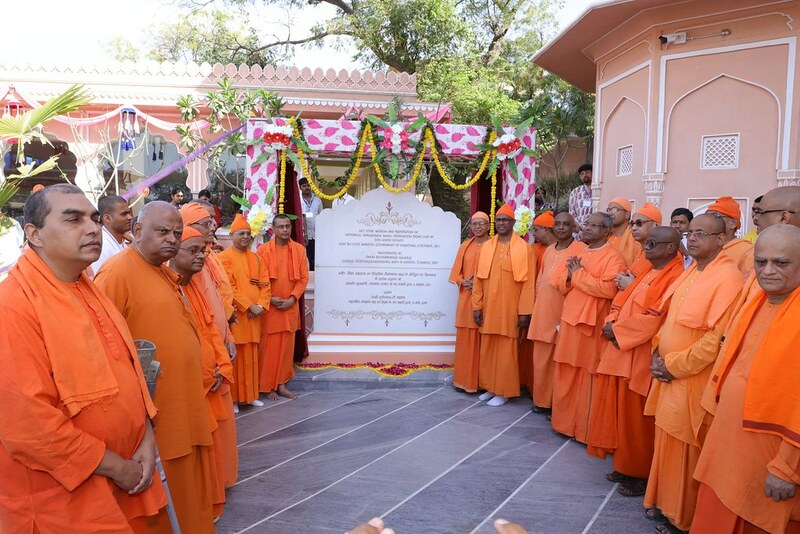 Therefore, and owing to other reasons, the work of the Ramakrishna Mission in Rajasthan could not make much progress. 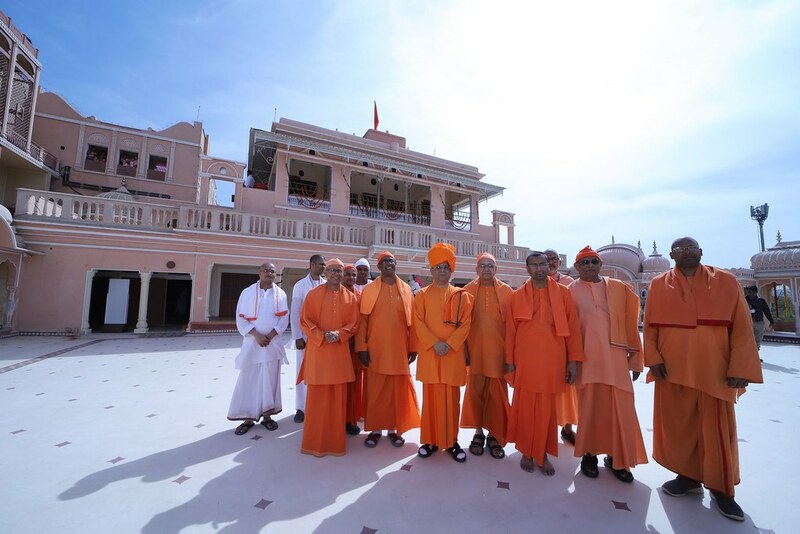 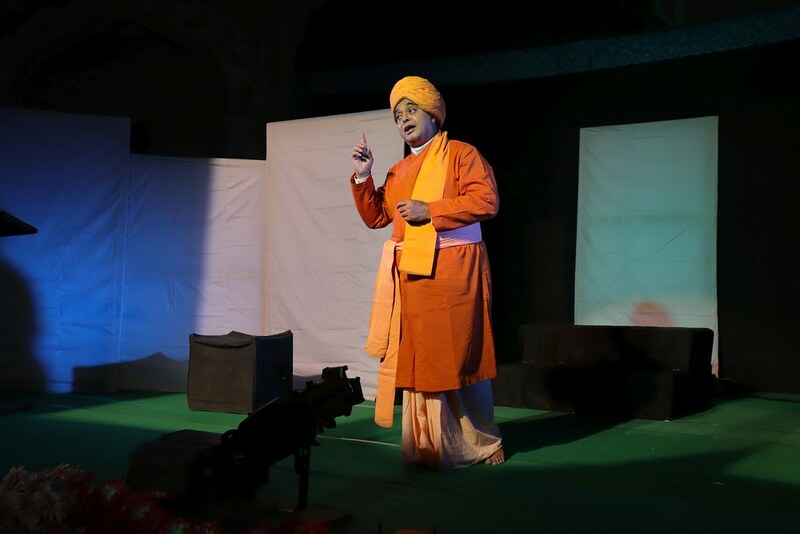 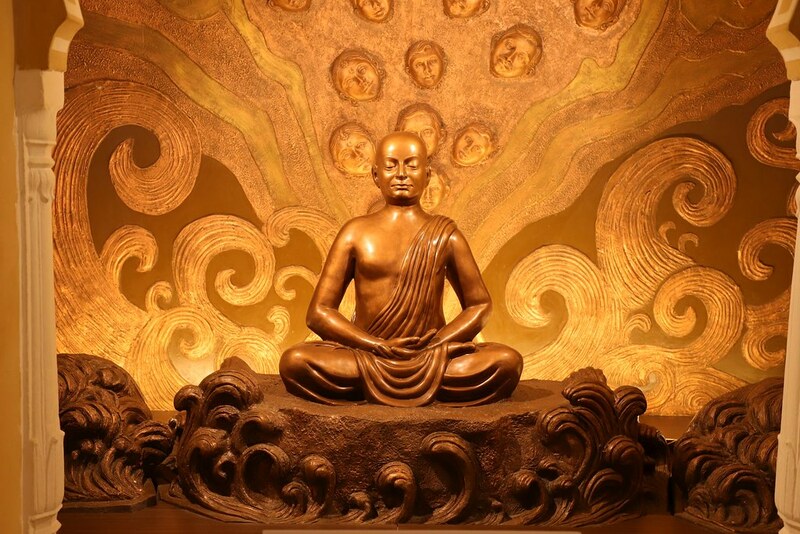 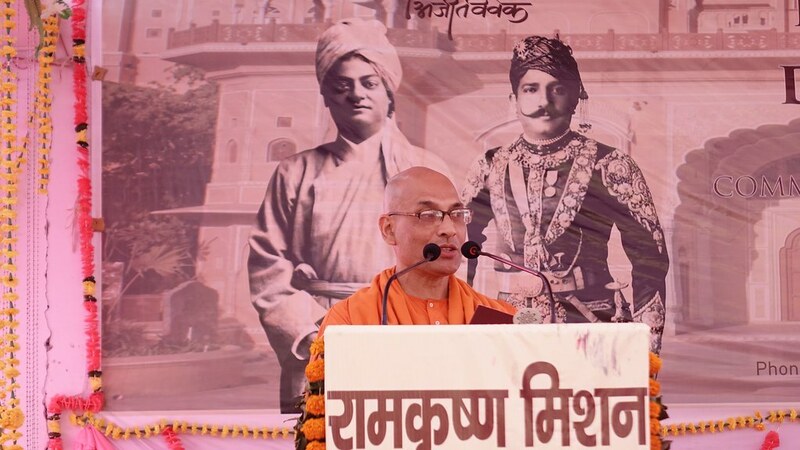 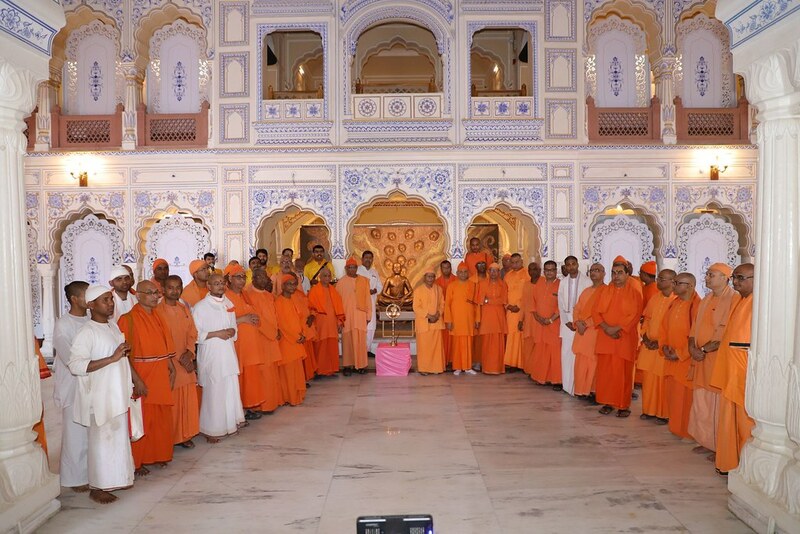 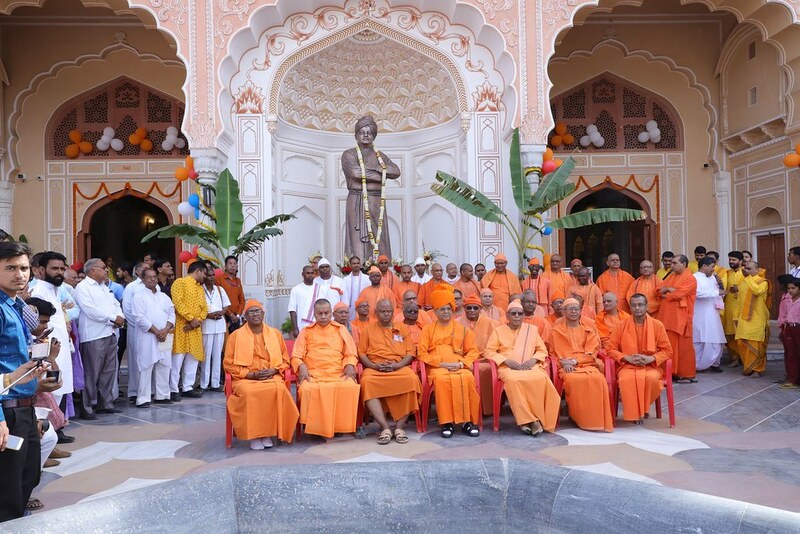 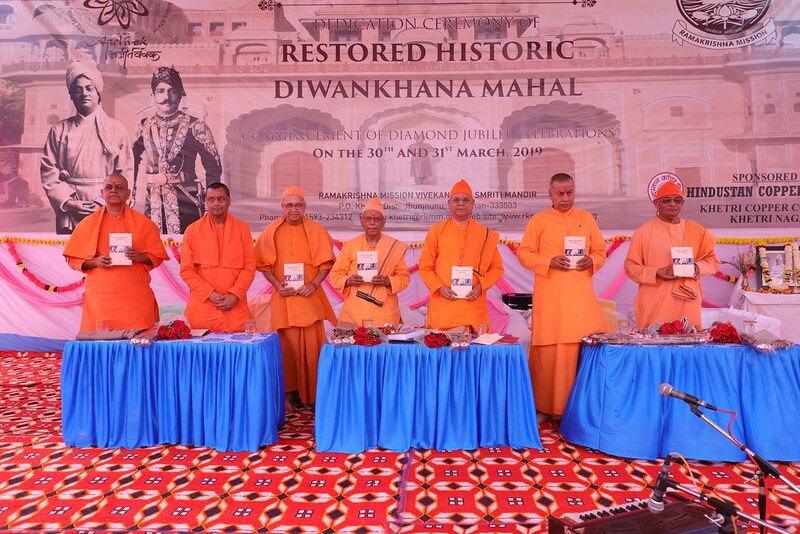 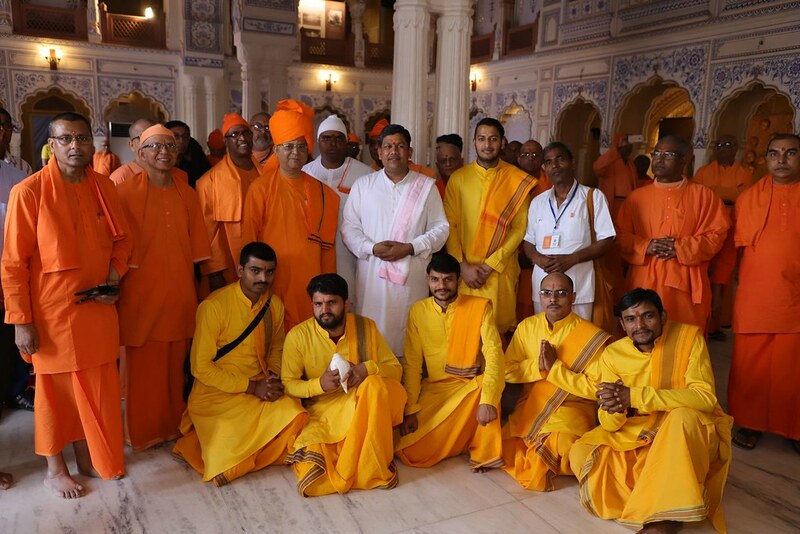 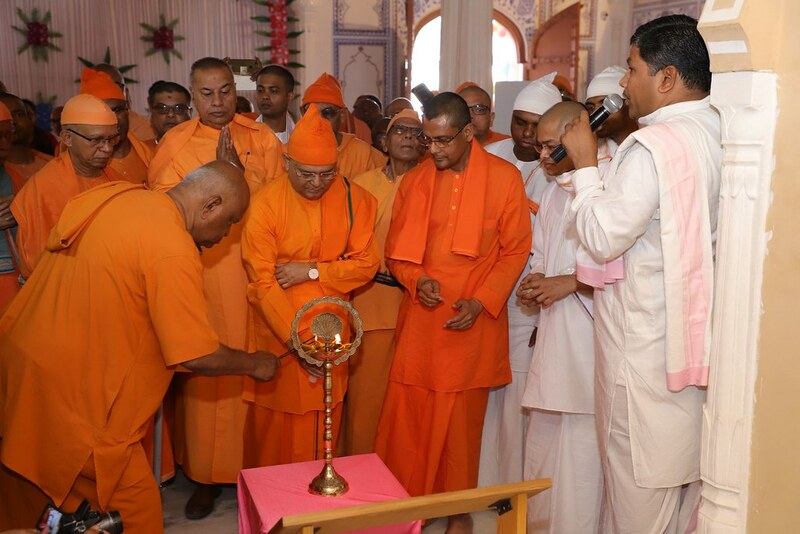 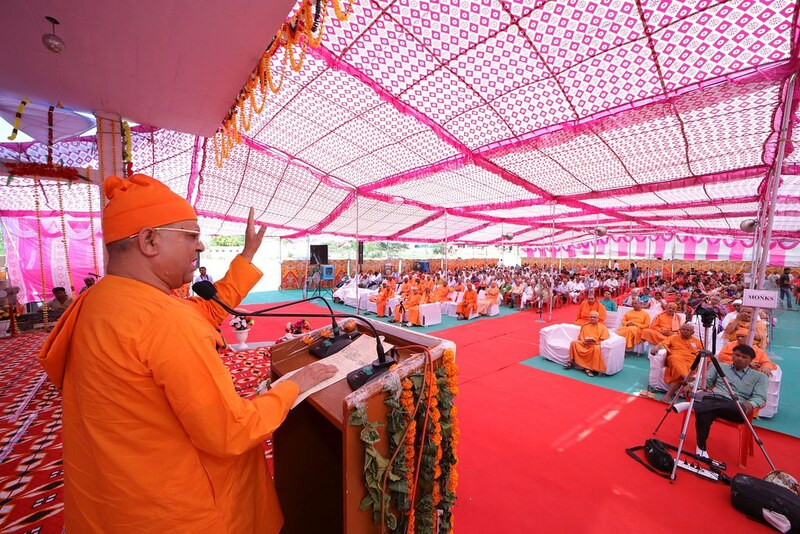 The momentum of its work gradually headed towards South India and Uttar Pradesh, but the inspiration of Swamiji was drawing people towards Rajasthan and the Sannyasins of the Mission kept on visiting Alwar, Jaipur, Bikaner, Kishangarh, Ajmer and Abu for propagating the religious message. 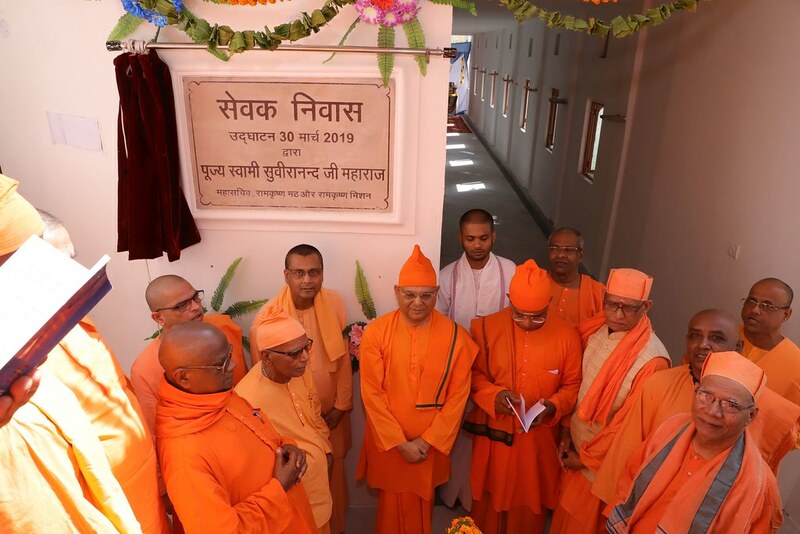 After a long time, the fate became propitious on Khetri and the likelihood of setting up a branch of the Ramakrishna Mission brightened. 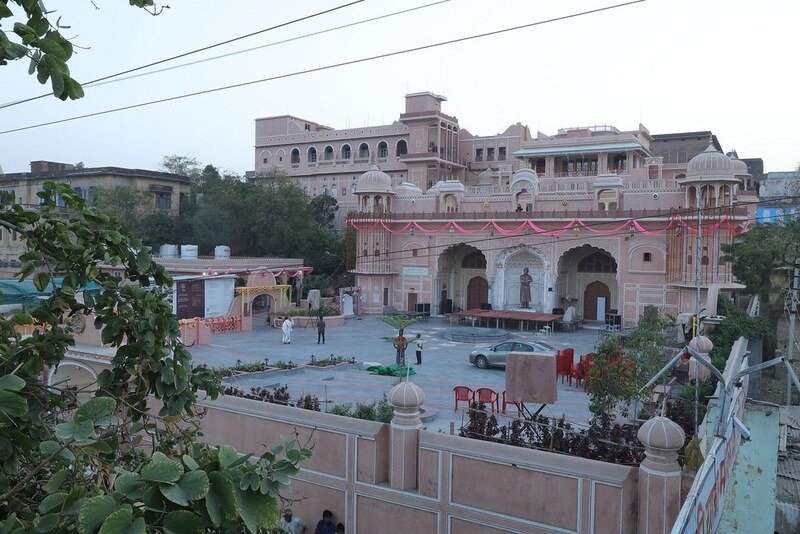 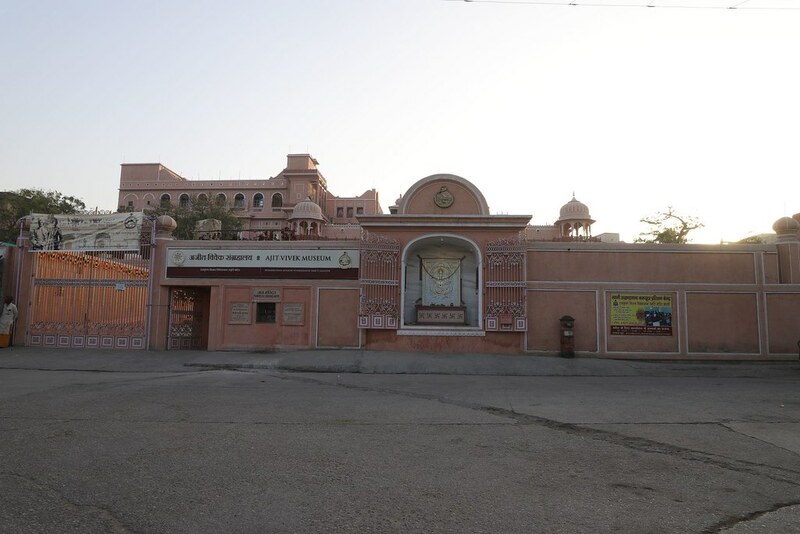 For this purpose Raja Ajit Singh’s grandson, Raja Bahadur Sardar Singhji donated the place (with various facilities in the year 1958) where Swami Vivekananda had his holy stay. 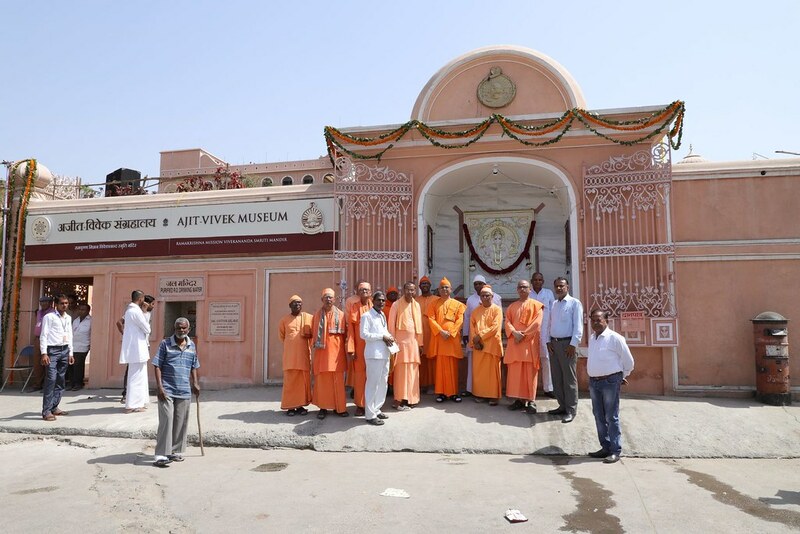 With the consistent efforts of Padmabhushan (late) Pandit Jhabarmal Sharma and late Beni Shankar Sharma, the first branch of the Mission was established in Rajasthan and this palatial building, rich with Swamiji’s memory, has been named as ‘Vivekananda Smriti Mandir‘. 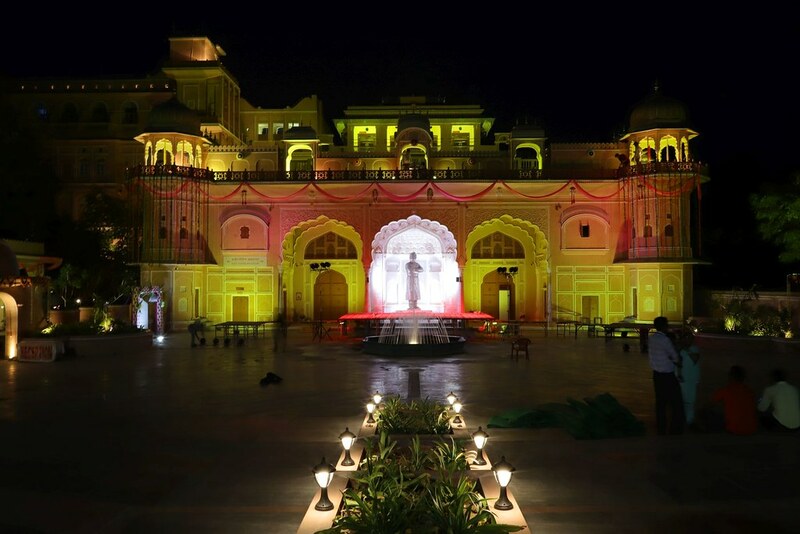 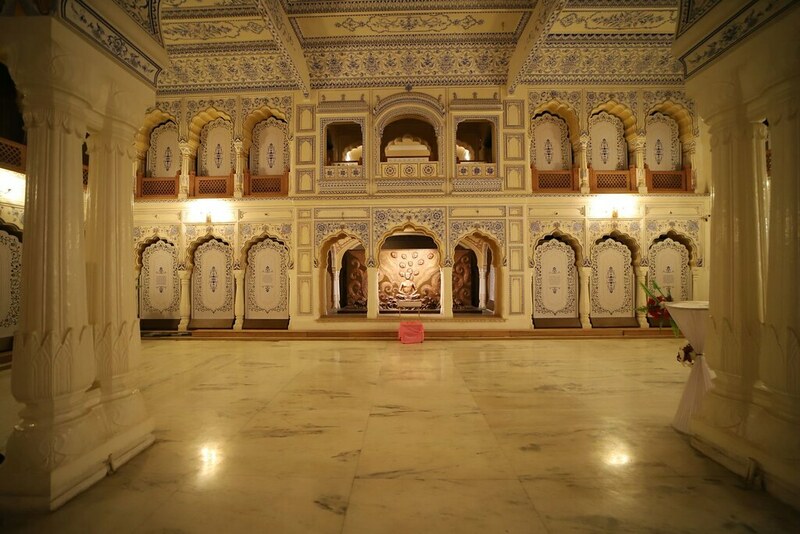 The marble statues of Swamiji and Raja Ajit Singh have been installed in this buliding. 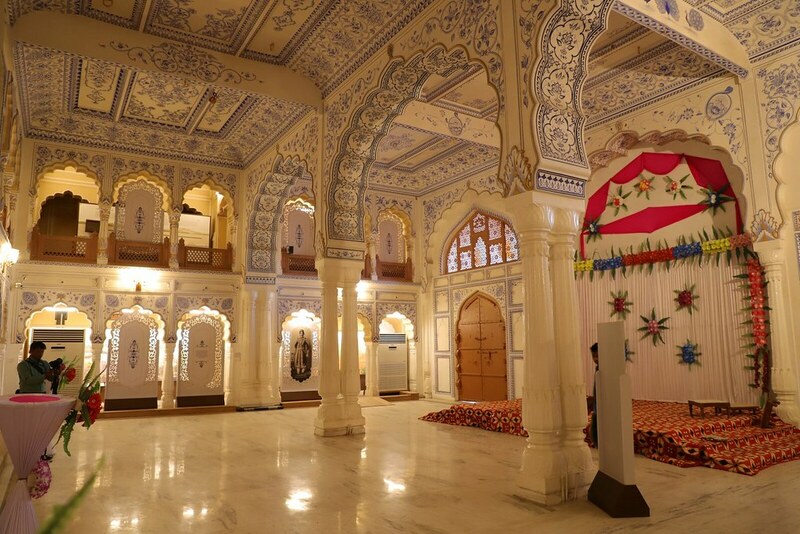 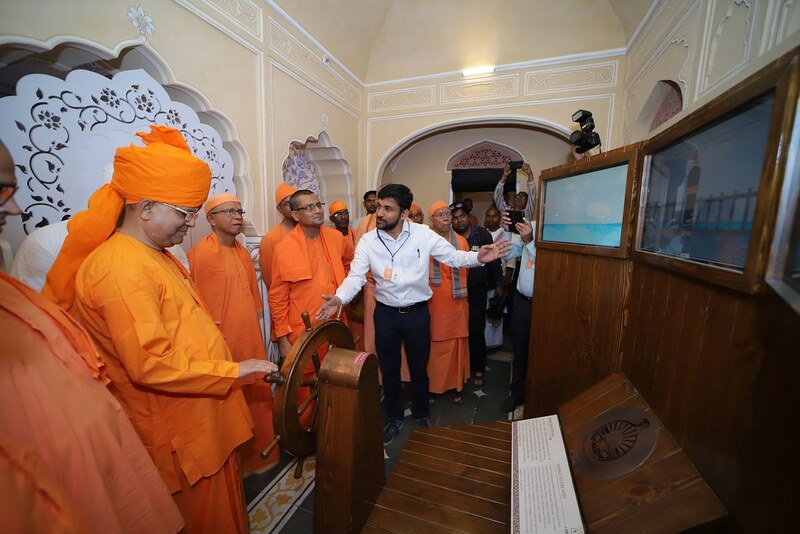 The room at the topmost storey where Swamiji used to stay and have spiritual dialogue and taught the science to Raja Ajit Singhji, has been converted into a prayer room. 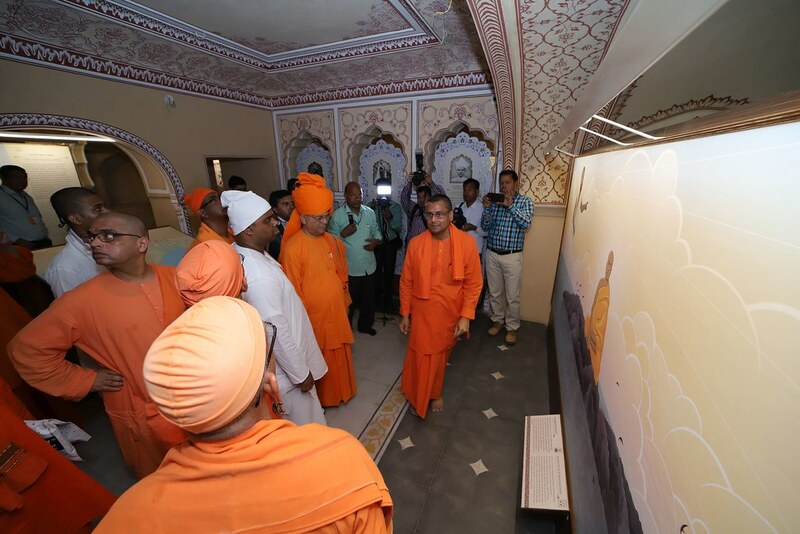 In fact today, Khetri is a place of pilgrimage sanctified by Swamiji’s three visits, where important events of his life took place and the Mission’s spiritual work commenced for the first time. 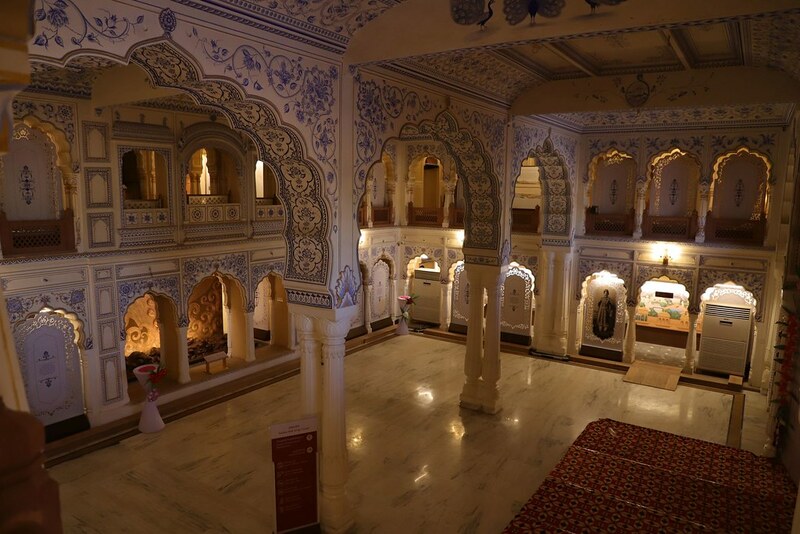 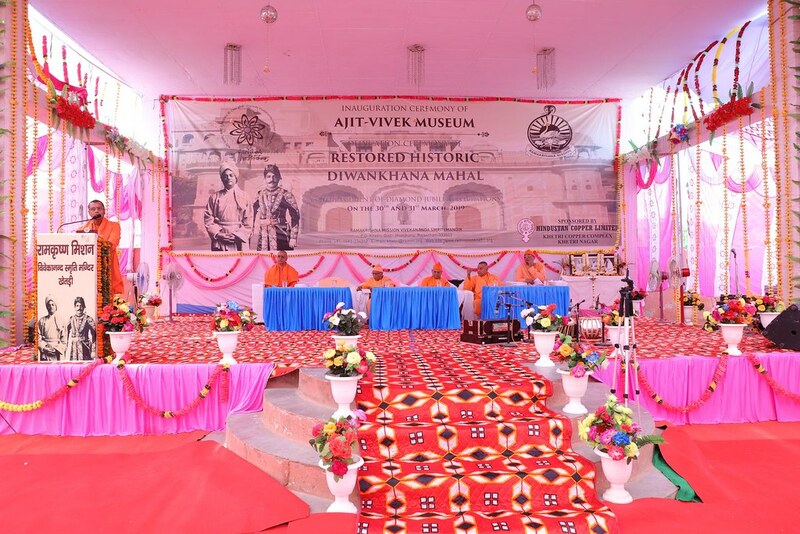 A Museum, now known as Ajit-Vivek Museum,related to Raja Ajit Singh and Swami Vivekananda was established in the Restored Historic Diwankhana Mahal. 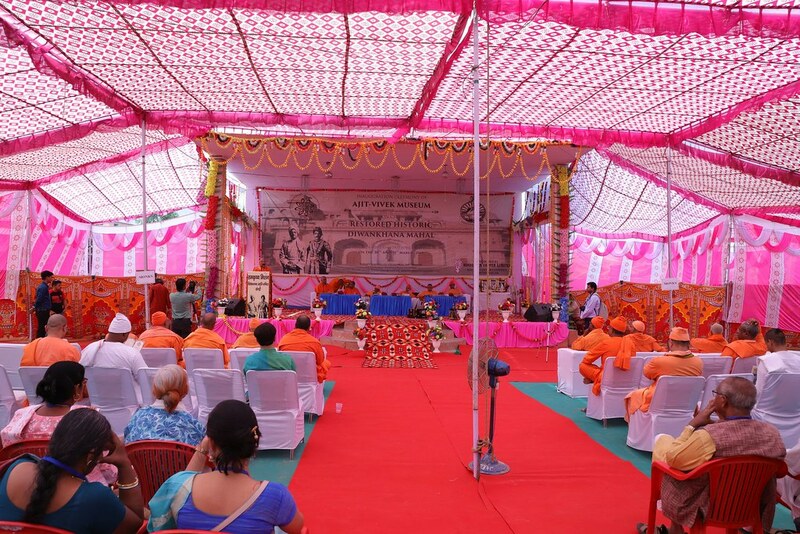 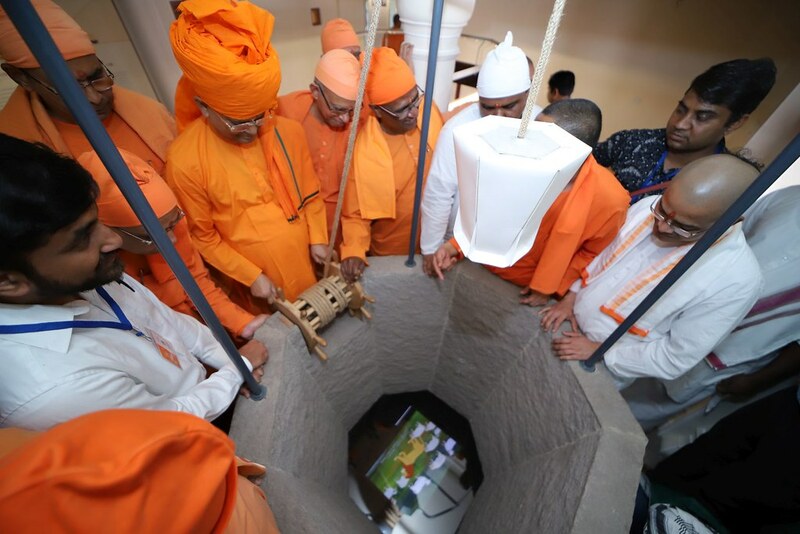 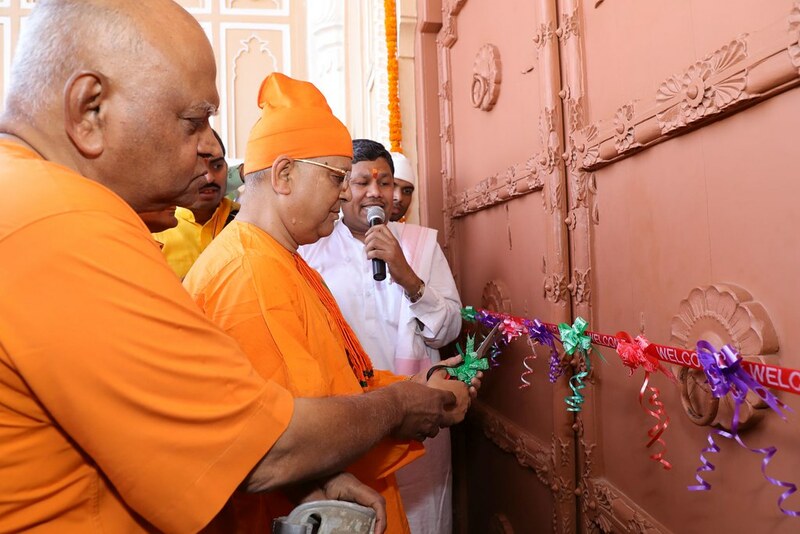 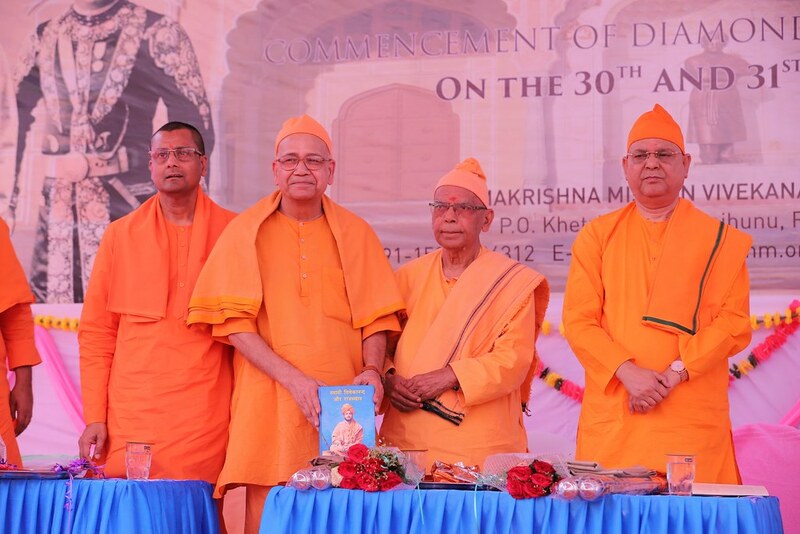 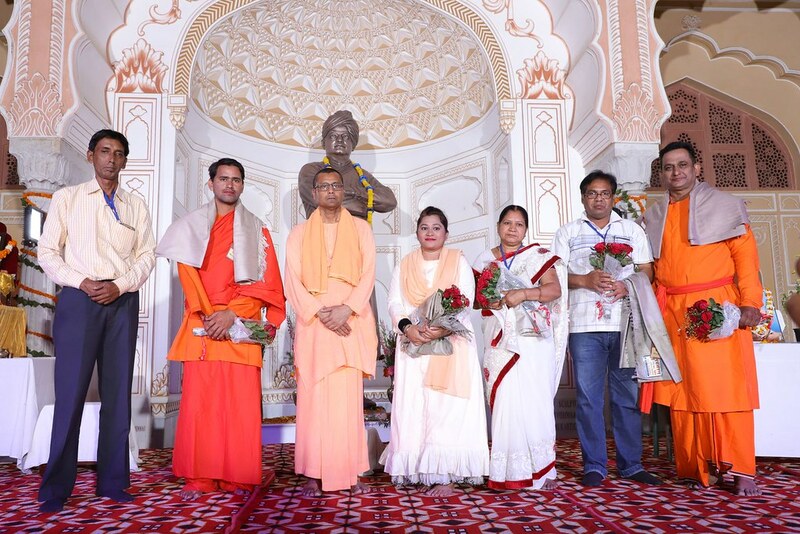 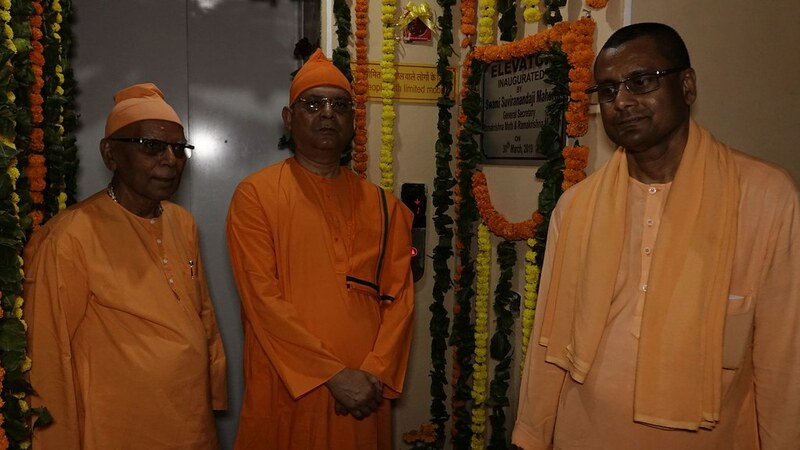 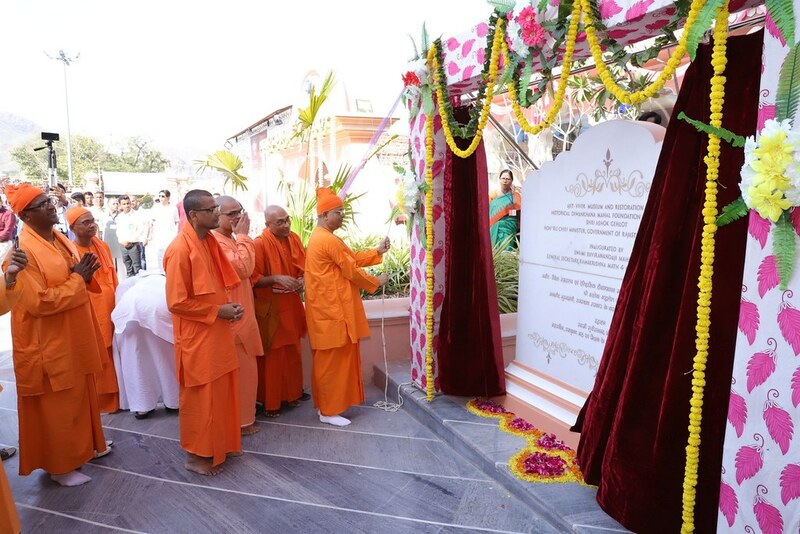 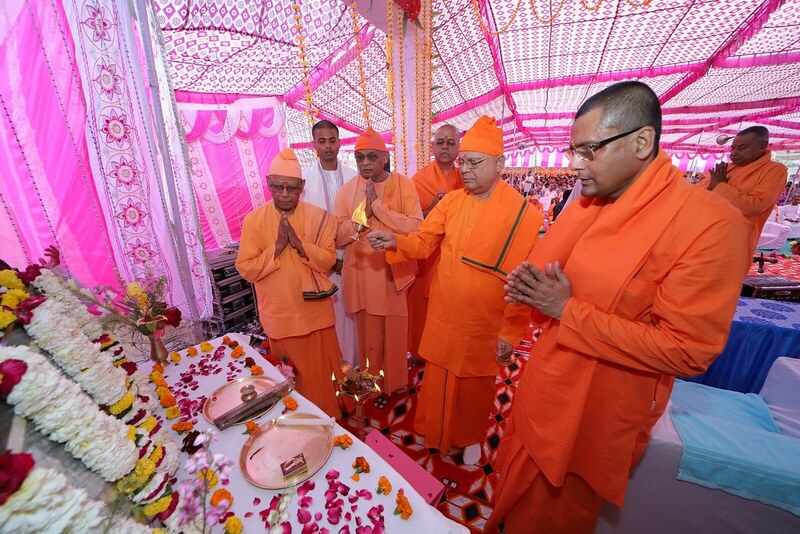 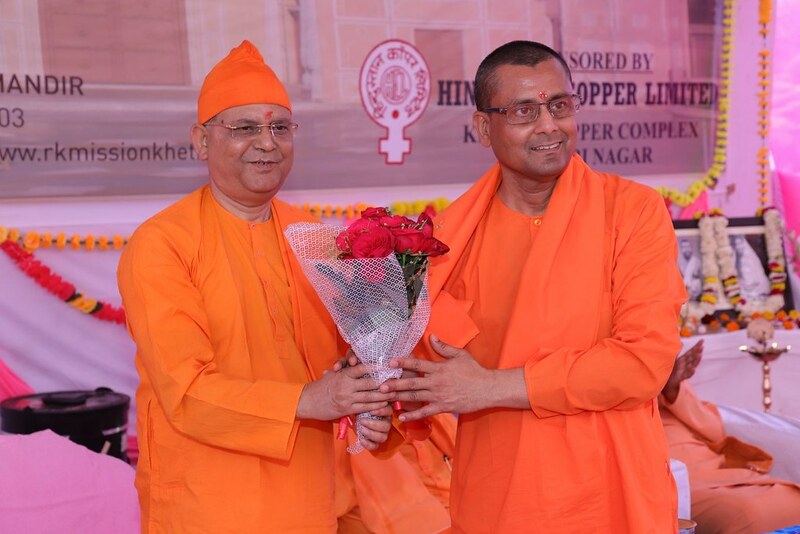 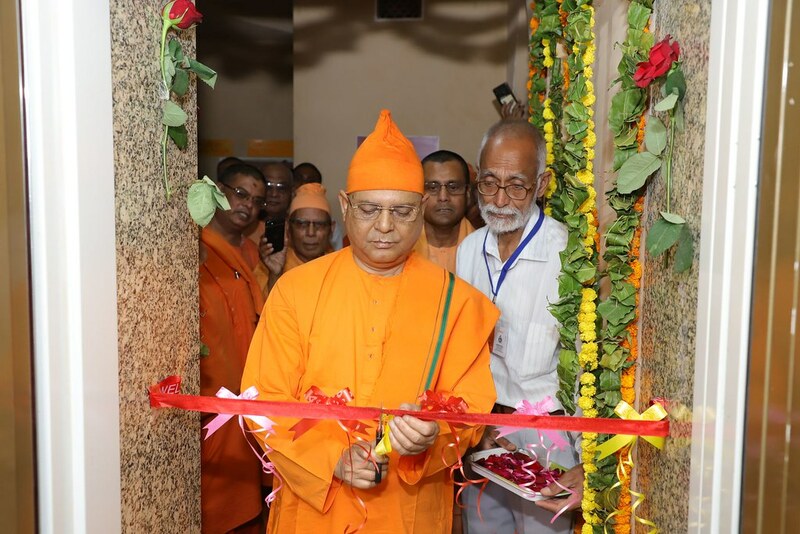 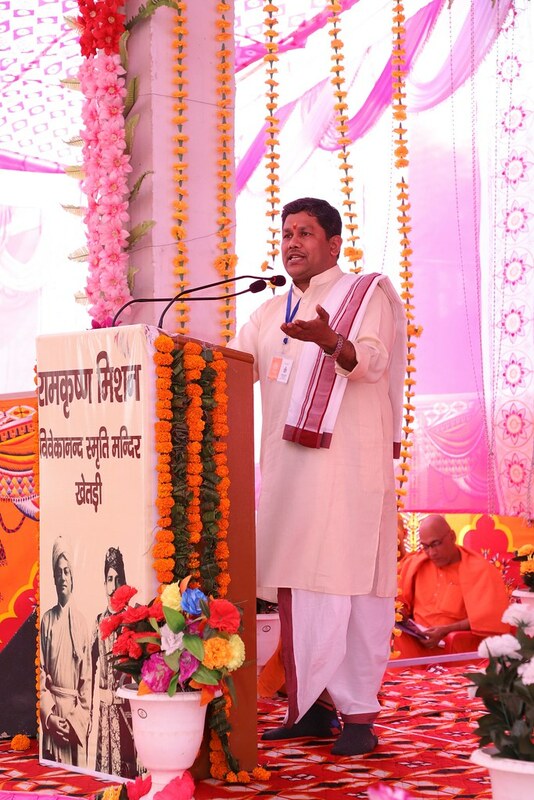 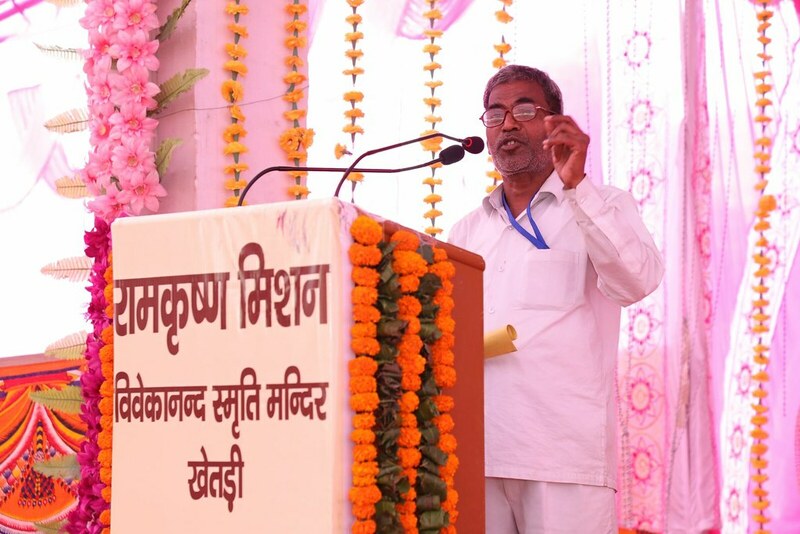 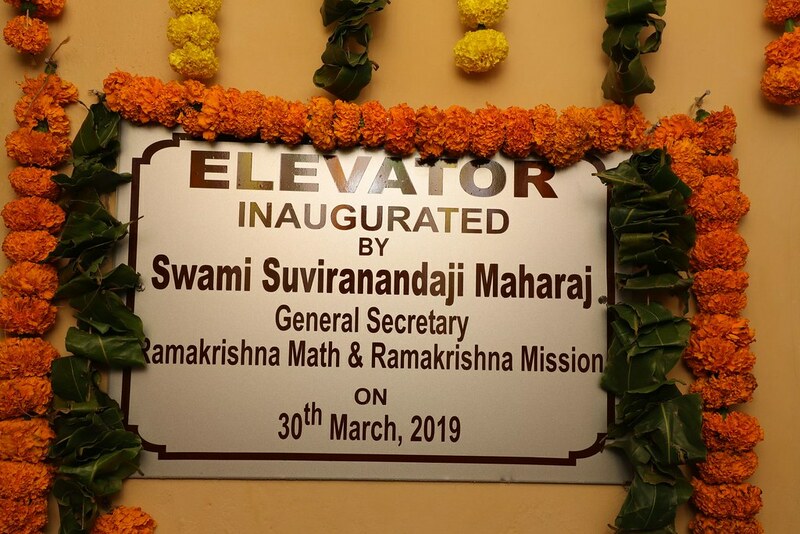 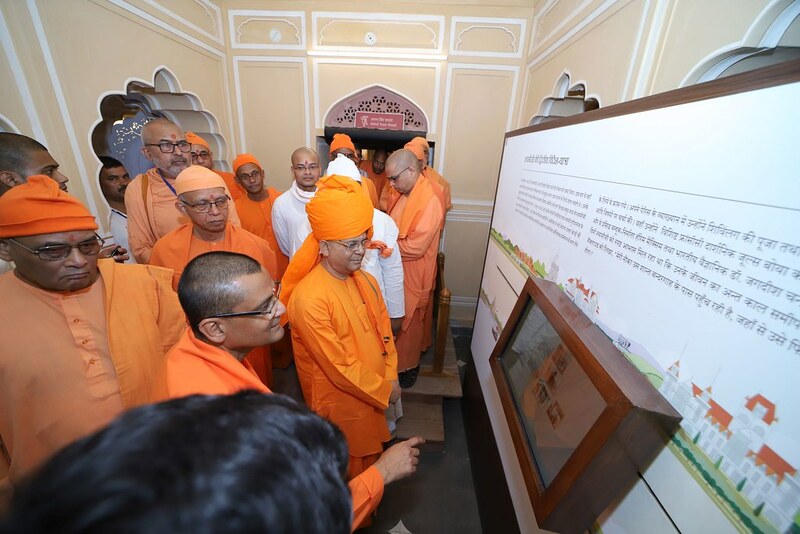 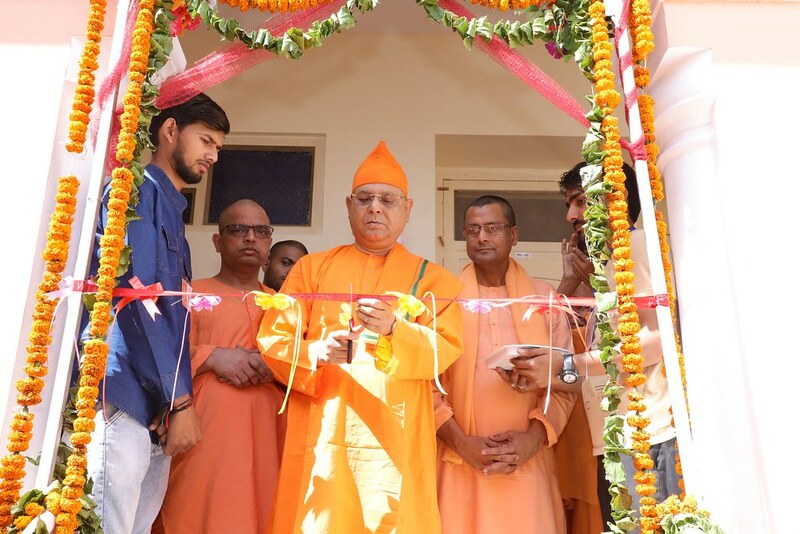 Revered Swami Suvirananda ji Maharaj, General Secretaty, Ramakrishna Math and Ramakrishna Mission inaugurated the Ajit-Vivek Museum on 31 March 2019. 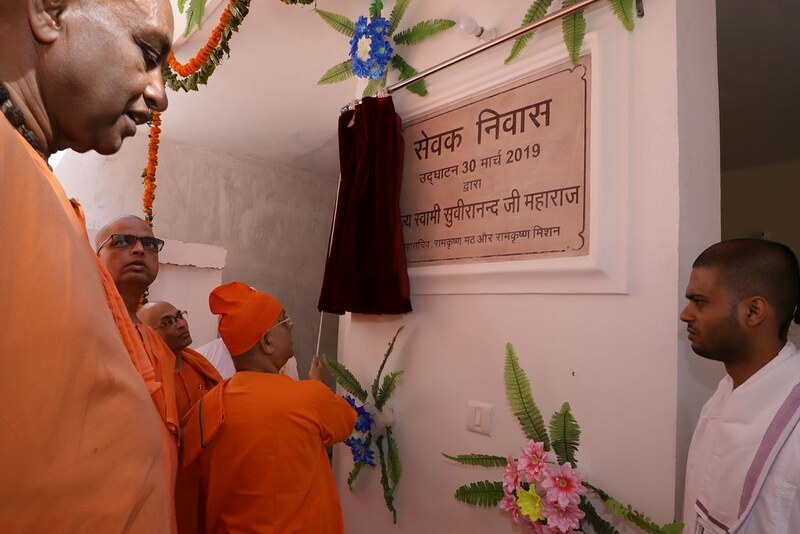 On the previous day, 30 March 2019, Revered Swami Suvirananda ji Maharaj, inaugurated the Sevak Niwas and Sarada Kshetra Vikas Prakalpa. 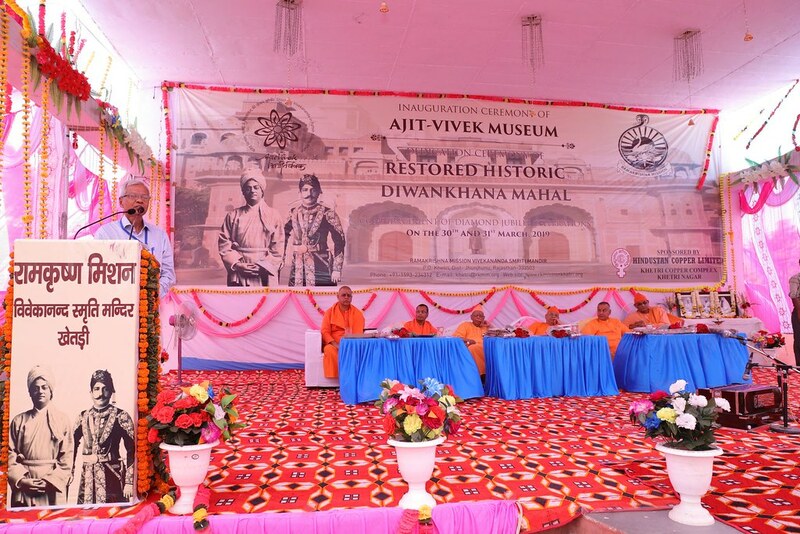 Discourses on the history of Khetri Kingdom, The Raja of Khetri : Ajit Singh Bahadur, Swami Vivekananada and Khetri and the History of Ramakrishna Mission, Khetri, were held in the afternoon. 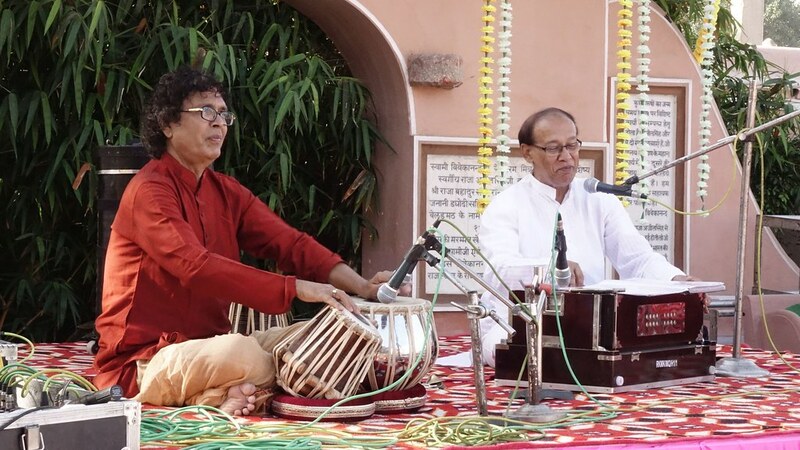 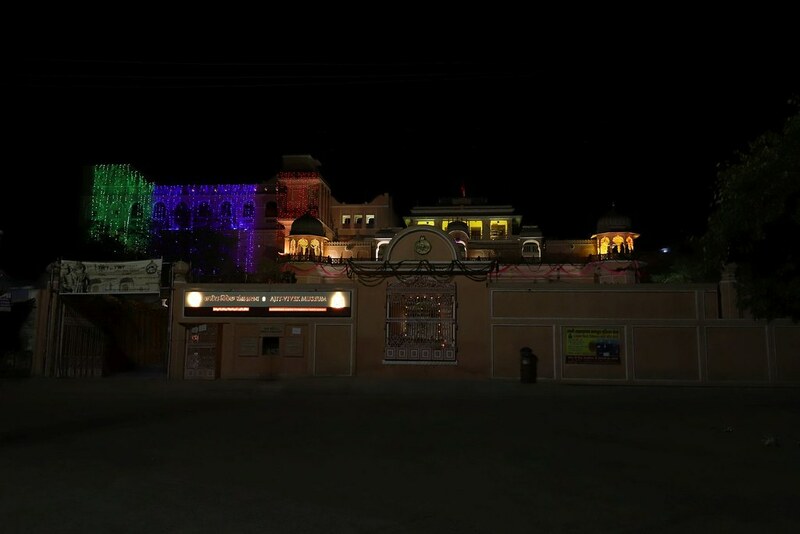 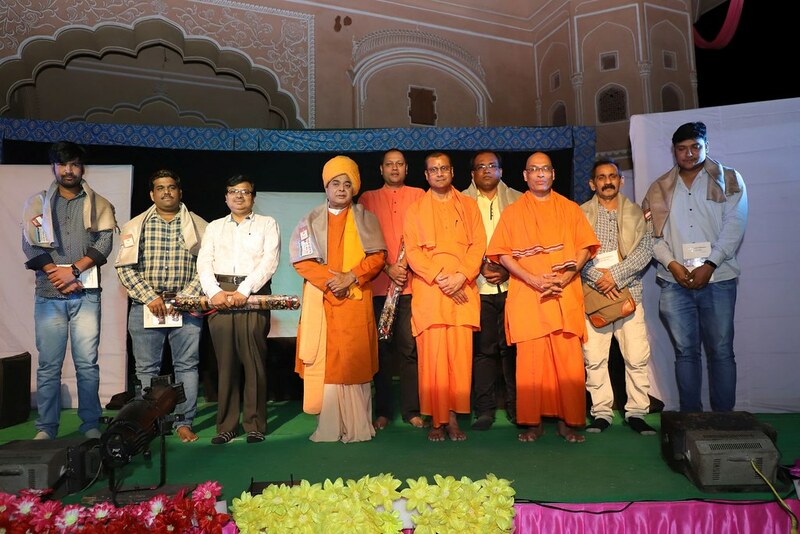 Cultural programmes , Oddisi Dance by Jagat Jyoti Banerjee and a Light and Sound Show on Sister Nivedita by Shipra Vision Sansthan, Bhilai Nagar, were organized in the evening.